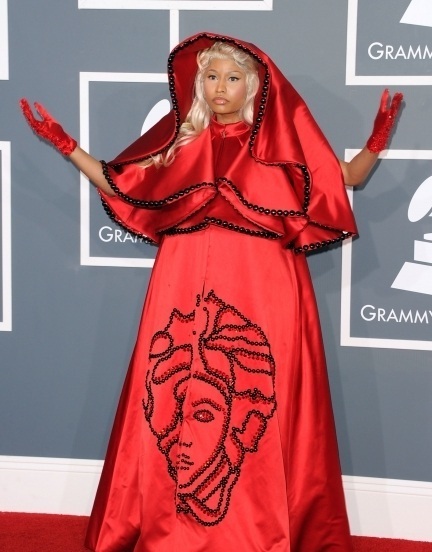 I am so going to get myself a nightmare tonight by just looking at Nicki Minaj. I pity fisherman out there who might be crazily looking out for their fishing net. There will be no fish in the market by tomorrow. Blame it on Lady Gaga..
My soul is screaming inside of me.. oh my..
Ahaks. Sekarang orang dah tak pakai pukat tebar la. Tu yang lady gaga recycle pukat derang. Ahahahaha. Can't view comments, kaler text tak nampak against the black background or is it just me?? LOL..seriously lawak burok hahaa~ ! !